Based on customer requirements, the Gebäude- und Unterhaltsreinigung Win GmbH provides a clearly defined list of services with a respective cleaning interval, which corresponds to the company’s work processes. It is therefore possible to utilise the services provided by the Gebäude- und Unterhaltsreinigung Win GmbH by means of a single order or as a subscription. Entering into a repeat order means that the professional cleaning of your entire working environment can be guaranteed. 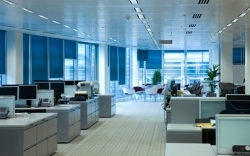 The regular cleaning includes all of the staff areas, such as offices, sanitary facilities, break areas and kitchenettes, corridors, copy rooms, staircases and much more. But the subscription also includes those areas, where clients are met and where they gain their first impression in regards to the company. Have something better to do? Are you looking for a cleaner to make life easier? Do you simply not have the time, or would you like to spend your free time doing something else than cleaning? It does not take much to still maintain a clean home. The provision of cleaning tools and products is obviously part of an excellent service. We are a competent partner when it comes to cleaning residential dwellings. We will work out a customised offer with a respective cleaning concept according to your stipulations and wishes, so that it fits perfectly with the list of services provided for your property. Our staff are insured against potential damages to property. The provision of the necessary cleaning tools and products, as well as holiday and sickness replacements are obviously part of an excellent service. If you pay for help in the household, even if it us just for a few hours a week, then you are an employer. An employment exists even without a written contract, and if you are an employer, you have certain rights and obligations. We will take these obligations from you. Our “driving cleaners” clean and maintain everything from studio apartments to castle according to your personal needs and cleaning intervals.